Mooallem will shepherd the launch of a new digital, print and event platforms called simply Voice. Stephen Mooallem has been tapped as the next editor of The Village Voice as the iconic newspaper preps for its first major relaunch in its 60-year history. Mooallem will shepherd the launch of a new digital, print and event platforms called simply Voice. It’s a return to Village Voice for Mooallem who began his career there as a contributor on the national news desk. He joins from Harper’s Bazaar where he was executive editor. Mooallem replaces Will Bourne who stepped down in August. 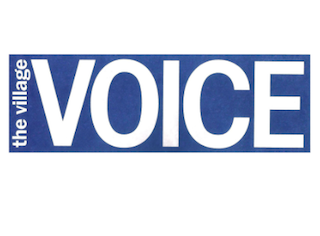 The Village Voice also announced that publisher Suzan Gursoy will add the title of chief operating officer. Gursoy will continue to lead business strategy and operations. Gursoy, former publisher of Adweek, joined The Village Voice earlier this year.